Duisburg, Germany – Duisburg, March 2019. 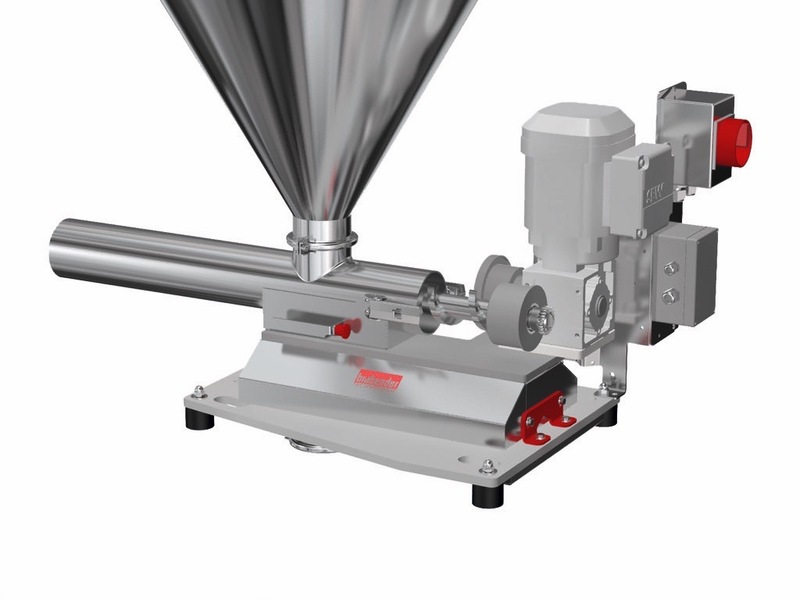 Duisburg-based Brabender Technologie is unveiling a new pellet feeder in time for POWTECH (April 9 to 11, 2019 in Nuremberg). The new DS line is being launched on the market in a choice of four sizes and is characterized by a simple design that concentrates on the essentials. At the design stage Jürgen Knez always focused on applications. That is why the DS is available in two versions. “We have developed two different versions for various customer applications. The S version for continuous operations involving one material and the E version for frequent product changeovers.” The difference between them can be explained by the way the motor and screw are configured. On the DS-S, the standard version, both components are linked together. This is ideal for long-term feeding. For product changeovers and cleaning, both can only be removed together. The enhanced DS-E version features a different design, the expert explains. “When a screw is being replaced or the device is being cleaned, the motor remains in place and is only shifted to allow the screw to be removed from the rear.” The slide gate and the tight pipe connection which allow the hopper to be emptied completely, are also practical details that make bulk material changeovers and cleaning easier. 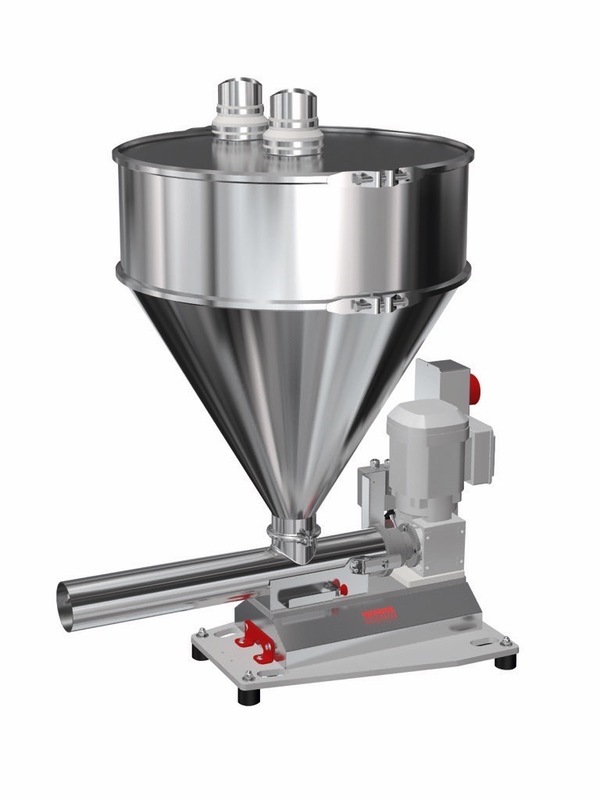 The DS-E is therefore ideal for various pellet feeding processes that involve frequent product changeovers. The entire DS line is typically equipped with an analog load cell. A digital load cell can also be installed if required. “This would be more expensive, but is feasible using the existing baseplate,” Jürgen Knez confirms. These include, for example, a new Hygienic Design FlexWall® 40. The finish of the newly developed stainless-steel weighing frame complies with current EHEDG (European Hygienic Engineering & Design Group) guidelines. Furthermore, all polyurethane components that are in direct contact with bulk materials will be presented for the first time in the now standard color, blue. “It’s worth paying us a visit, I can promise you that,” says Bruno Dautzenberg with assurance.